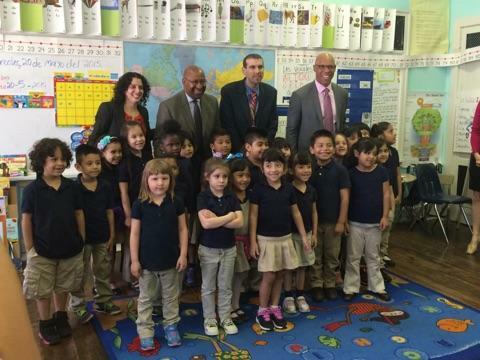 Southwark had a terrific visit from Mayor Nutter and Dr. Hite yesterday. 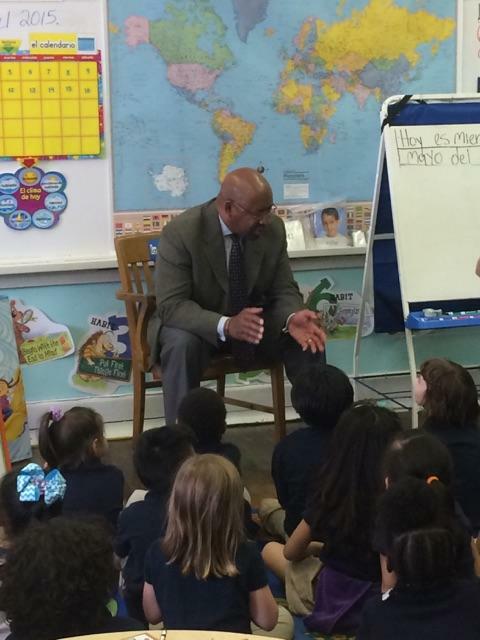 They met with parents, teachers, and community partners, and toured several classrooms. They visited the kindergarten two-way immersion classroom, a sixth-grade classroom which was having a career day, and one of Southwark’s English Language Learner (ELL) classrooms. We discussed Principal Lukov’s innovative and ongoing use of community partners and the success of the TWI program, and heard from parents and teachers about Southwark’s successes and challenges. It was quite an honor to be there and speak on behalf of the work the Education Committee is doing, and to hear from all of the other participants. 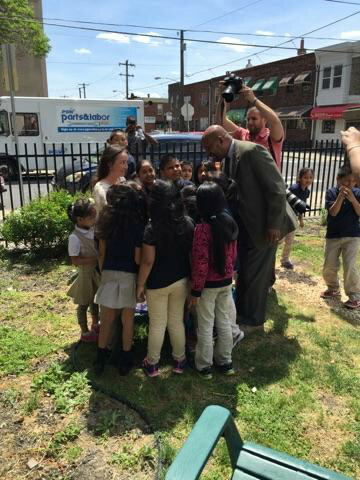 The kids were so excited to have the Mayor there, and he was completely charmed by them. Our school is really something special, and if you haven’t had a chance to visit, stay on the lookout for an open house or two before the end of the year.